WHAT HAPPENS TO MY DEBT ONCE IT IS DISCHARGED IN A ST LOUIS BANKRUPTCY? It depends on what kind of debt it is. If we are talking about unsecured debt (such as credit cards, medical bills, payday loans, old utility bills, etc. ), it is completely wiped out by the federal government in a St. Louis Chapter 7 (but some of it may get paid back in a St. Louis Chapter 13). If it is secured debt (like a car loan, or home mortgage), then it depends on what you wish to do with the property. For instance, if you choose to keep your car, then you would continue to make regular monthly payments to the creditor in a Chapter 7 (and in a Chapter 13, this debt would become part of your repayment plan). But you always have the option to surrender a major asset (like a house of car) if you wish, and get out from underneath that debt as well. In this kind of situation, the original creditor will take back possession of the asset (and any deficiency that results will be included in the bankruptcy). A lot of people mistakenly believe that if a debt is discharged in a St. Louis bankruptcy that the IRS (or state of Missouri) will require you to pay income tax on those debts. This type of situation may occur in a debt settlement in which you reach an agreement with a creditor (for instance, if you owe $10,000, but the creditor is willing to take $5,000 to settle the debt, then it is possible in some circumstances that the taxing authority would consider the 5K that the creditor released is income to you, and therefore a taxable transaction). But in a bankruptcy, it is the federal government itself that is getting rid of the debts, so there is nothing to tax. The reason why the debts are discharged is so that you can receive a fresh start / clean slate. This gives you the opportunity to move forward with life so that you can get back on your financial feet. 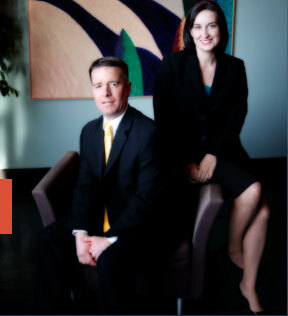 A St. Louis bankruptcy attorney at Brinkman & Alter, LLC can describe each step of the bankruptcy process to you, answer all of your questions, and explain your full range of options. Once it is determined which chapter of bankruptcy is best for your particular situation, we can forward as quickly as you wish.